The VLab Motion is a full length Zorro II card which is capable of digitizing 24bit video at up to 30 frames a second. The card is capable of playing back and editing non-linear MPEG video with YUV 4:2:2 pixel quality. The card also supports the playback of simultaneous non-linear audio if you also have the Toccata soundcard installed. Additionally the card also has genlocking features such as PiP (picture in picture) and chroma keying as well as realtime scaling in hardware with JPEG compression. 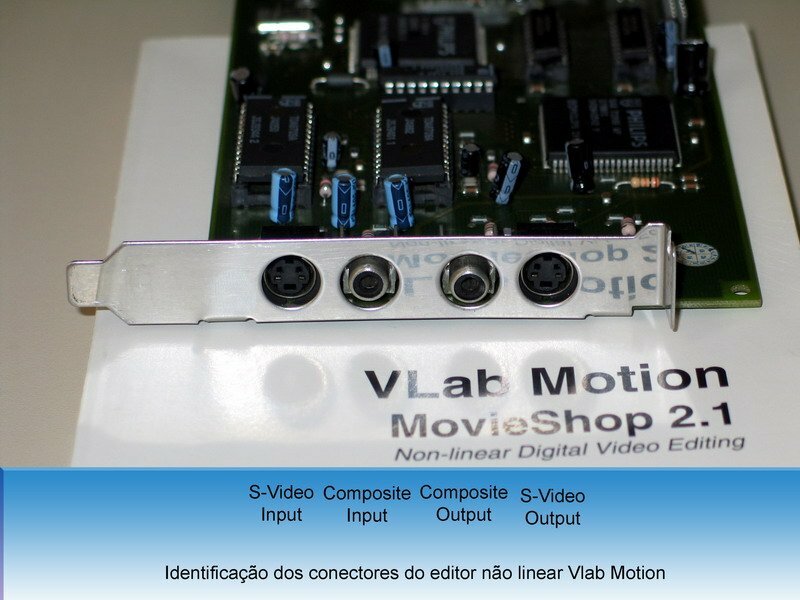 The VLab Motion contains composite and Y/C connectors. There is also an expansion socket for a YUV or RGB component transcoder as well as an expansion module for connection directly to the Video Toaster. 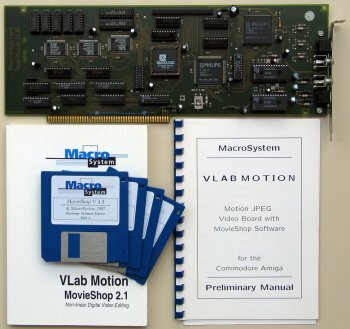 The VLab Motion does not require a time base corrector, but a fast hard drive, 030 and 8MB of Fast RAM are highly recommended. Page contributors: Antoine Dubourg, Francisco Rabay Jr, RiWa & Friends.